Review: "Merrimack: Of Entropy and Life Denial" - Sea of Tranquility - The Web Destination for Progressive Music! If you have heard Merrimack's earlier releases, you must know that they have been a band staying true to the rules of early 90's black metal, placing a good dose of atmosphere on their songs and resembling the likes of Burzum and Darkthrone. Of Entropy and Life Denial is the French band's full-length disc (their previous work mostly consists of split releases and EP's) and finds the band somewhat abandoning their atmospheric roots in favour of a more straightforward, fiercely aggressive brand of black metal. 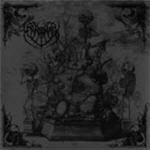 There are no keyboards or syrupy melodic lines on the album; and the production is quite good for a black metal release. The sound is clear most of the time and the mix is powerful. The songs boast lots of tremelo picking with intense blast beats, but thankfully, the band also know when to take a little break. They insert more droney, atmospheric passages into their craft, rendering pieces like "Seraphic Conspiracy (Of the Angels and Their Mission)" and "The Birth of a Life's Sacerdoce (Of Nascency and Ineluctability)" more diverse than the one-dimensional, single-minded angry others. The guitar work on the intro of "Insemination (Of Procreation and Its Consequences)" bears a resemblance to Immortal's earlier work; and "Melancholia Balneam Diaboli (Of Acedia and Her Daughters)" might appeal to most Burzum fans. There could even be drawn parallels between Burzum and Merrimack's painful screaming and arrangement on this piece. The purely hateful "Descension From Life (Of Spiritual Discipline and Metaphysical Gravity)" is in the same mold with Marduk's sickest work, particularly circa Opus Nocturne. That said, track nine, "Consecration of the Temple", stands out for its very experimental nature; and "Carnaceral" recalls the band's moodier, darker statements. It's a short yet effective instrumental that serves as a pre-cursor to the eighteen-plus-minute album finale. For some reason, French black metal bands don't interest me much. I had a similar problem with Belef's last album, but this one easily destroys their work. Still, I don't think black metal is French bands' forte.